I can get more people to see your home than any agent who is related to you, or who is in your ward, as I own AmericanForkHomes.com, and I typically get over 3,000 visitors a month to my UtahForeclosures.com website! I know of no other agents in the county who get more people to their website or who answer their phone as much as I do. I have been a licensed real estate agent with the state of Utah for over 20 years and I am very good at knowing how to price your home. I have also been a Realtor with the board of Realtors for over 20 years and and am a licensed broker with the state of Utah. I am a Utah Certified Residential Appraiser and have worked appraising full time for over 20 years, but now work full time as a real estate agent. I answer my phone when someone calls me! The only times I don't answer is if either I don't hear it ring, I can call someone right back, or if it is inappropriate to answer. Unlike the agents that are related to you, I can be to your property (in most cases) within a few minutes, or have one of my colleagues there. I will be sure that every agent who goes to see your home will be contacted to get his or her opinion and suggestions from those coming to see your home. I will provide you better service than any agent you know, including those who may be related to you. I will list your home on the local multiple listing service ( MLS ), along with hundreds of other websites nationwide, where thousands of real estate agents can find it. I have lived in Pleasant Grove or nearby for over 40 years, and have siblings and relatives and hundreds of friends in the north end of the county, and thus, I know or may find many people who may be looking for a home like yours. IF for any reason I can not give you the BEST HELP in selling your home, lot, or apartments in this area, I WILL GIVE YOU THE NAME OR NUMBER OF AN AGENT WHO CAN. Please feel free to call me at any waking hour. I will either answer or give you a call back promptly. Rod Dejel, “Realtor Rod”, helped us sell our dad’s house after our dad passed away. Each of the three of us live out of state so we needed a realtor that was attentive to those details that distance prevented us from dealing with ourselves. Rod helped us prepare Dad’s house for showings by arranging lawn care, carpet cleaning, minor repairs, and all the little things that made a big difference. Because of Rod’s past experience as a real estate appraiser, he is well connected with professional tradesmen and knows who to call when help is needed to prepare homes and properties for sale. The sale of our property involved working with multiple owners which made it a bit more complex, but Rod got the job done and the house was sold in a timely way. Personal circumstances required us to relocate to Utah in a very short time frame. Not knowing anyone in Utah, I used the internet to begin a search for our new home. I found UtahForeclosures.com to have the most comprehensive search engine of all the web sites available for Utah. 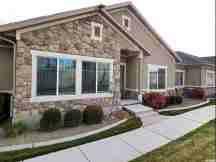 UtahForeclosures.com allowed me to narrow my search to those homes fitting my stringent criteria in a hurry. I then found that Rod Dejel was the was the owner of the site and a realtor. I decided to use Rod as my realtor in Utah. I found Rod to be honest, hard working, and extremely responsive to our needs. He went beyond the mark in arraigning for showings of homes from Brigham City to Nephi. There was never a time that I called Rod that he didn't answer his phone and meet our requirements. Through his assistance, we were able to find our new home and with his negotiating skill were able to get a fair price. It was a pleasure doing business with him and I highly recommend his real estate services. Rod was our first ever realtor. We were admittedly very nervous about making such a big decision in buying our first house, but we were lucky to find Rod. We were very picky and at times indecisive. Rod was patient and spent way more time than we probably should have had him spend, researching and showing us homes- even after we thought we found 'the one'. Because of that, we found something much better and for a very similar price. Rod is honest and treated us with respect all of the time. He knows what he is doing and has a lot of experience in appraising homes which helped us feel more confident in what we were offering. Overall we couldn't have asked for a better experience. He made a stressful and huge decision seem relatively simple and painless. You won't regret going with Rod as your realtor. We entered this as business partners and came out friends. Visit us online at AmericanForkHomes.com.